Why choose Capital Fleet vehicles and services? As a Fleet member, you get immediate access to an inventory of 1,000 vehicles, award-winning service, and the largest parts inventory in Saskatchewan. Quite simply, we take care of everything, so you can focus on driving your business. We have access to thousands of vehicles to suit your needs, so if your fleet consists of 5 or 500 vehicles, we can help you. Our inventory ranges from small cars to heavy-duty trucks with custom accessories available to outfit the vehicle for whatever job it’s needed for. We will ensure the vehicle is ready for the job and running in peak condition. Capital Fleet has a number of associated dealers to provide exceptional service on your fleet vehicles. Our shops are located in Regina, Winnipeg, and Edmonton so you’re looked after on the prairies. Our highly skilled technicians will get you back on the road quickly thanks to your priority in our service departments. Ford’s one-of-a-kind Business Preferred Network program is perfect for any small business operator, entrepreneur or small commercial company whose owner’s value their time.We are part of a high-performing group of about 80 dealers in Canada, specifically selected for our commitment to supporting small business when it comes to their transportation needs. 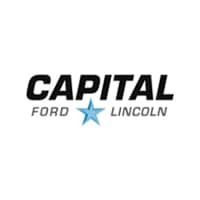 Whether you have one car, two SUVs or four small vans, Capital Ford has the resources and the people that are dedicated to helping your business grow with the right vehicles working hard for you. 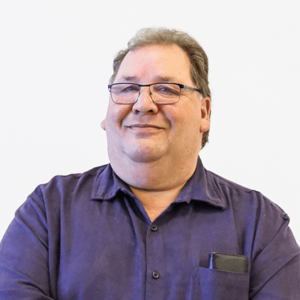 In September of 2016, I joined Capital Fleet Services as Fleet Sales Manager with over 43 years of experience in the automotive and business industries. My passions in life are family, friends, and meeting new people. When I’m not at the office, you’ll find me spending time with my biggest supporter and wife of 34 years, Rose. Weekends are filled with hunting, shooting, quad-riding, snowmobiling, woodworking, and building projects on our acreage. I’ve coached my children in various sports and was one of the founders of (Prairie) Thunder football team in Regina. Along with other charity work, I currently work with STARS fundraising and sit on the board for Pipeline of Dreams. I am currently celebrating my 23rd year in the auto business, all of which have been with Ford. I have worked in several departments including retail and finance. For the last 13 years, I’ve been enjoying my position of Fleet/Medium Truck Manager. 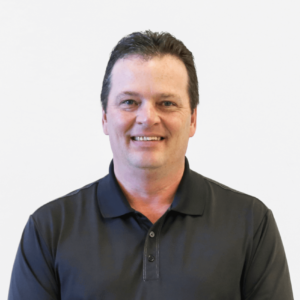 As busy as my day-to-day operation is, Capital Ford still allows me the time to be out in the community coaching minor hockey, baseball, and to serve part-time on the board for North Regina Little League. I enjoy coming to work every day, meeting new people, and having a cup of coffee with my clients.